Van Gogh Walk opened in 2013. It is an oasis of calm in the middle of busy, urban noisy South London. Local people came together in 2005 to set up a neighbourhood group; and they formed Streets Ahead. They wanted to make their streets safer and greener. Their focus was around two schools in their neighbourhood. At first they organised community gardening, events and activities, and support for local residents. 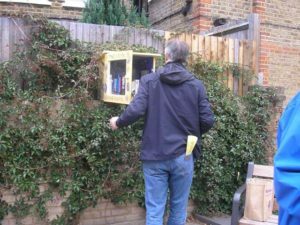 They have worked on the GRASS ROUTES project with Lambeth, local schools, housing associations and local councillors and with input from police, artists, architects and others since 2009. One street, Isabel Street, was an uninviting space – mostly used for parking cars. Vincent Van Gogh lived round the corner from there in Hackford Road and this added inspiration and focus for improvements. This project ultimately involved greening their streets, calming traffic, and creating a new community space named Van Gogh Walk (formerly Isabel Street). There’s a lovely blue and grey palate, making the area very light in comparison to the nearby Victorian brown. The paving is beautiful, it makes the street light and it looks clean. There are places to sit and equipment for playing on – but you might not realise that at first sight. There’s even a little library on the wall where you can leave a book for others to read. 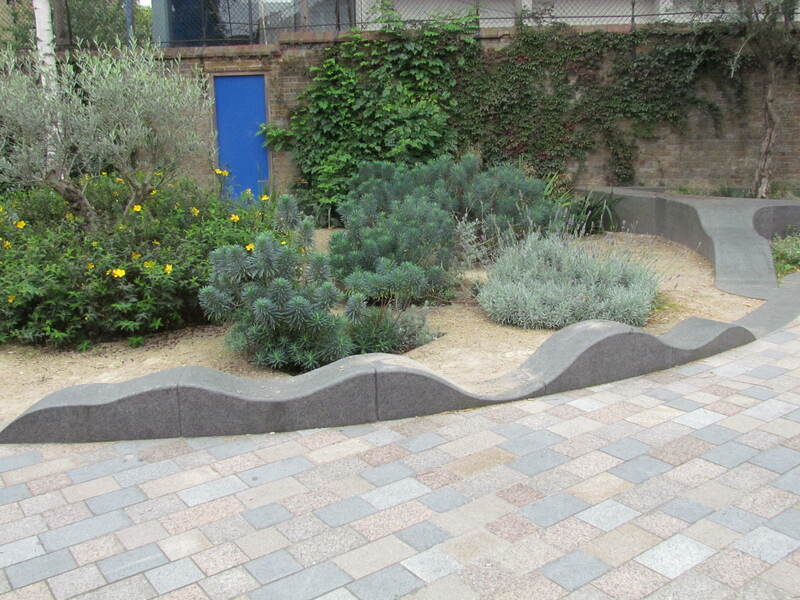 The walls of the planted areas (in raised beds) combine as seats, something to climb, or stepping stones. The space to aim for with your football is Van Gogh’s missing ear! The planting is on theme, and if you go in the summer months you’ll find the local people have planted sunflowers. 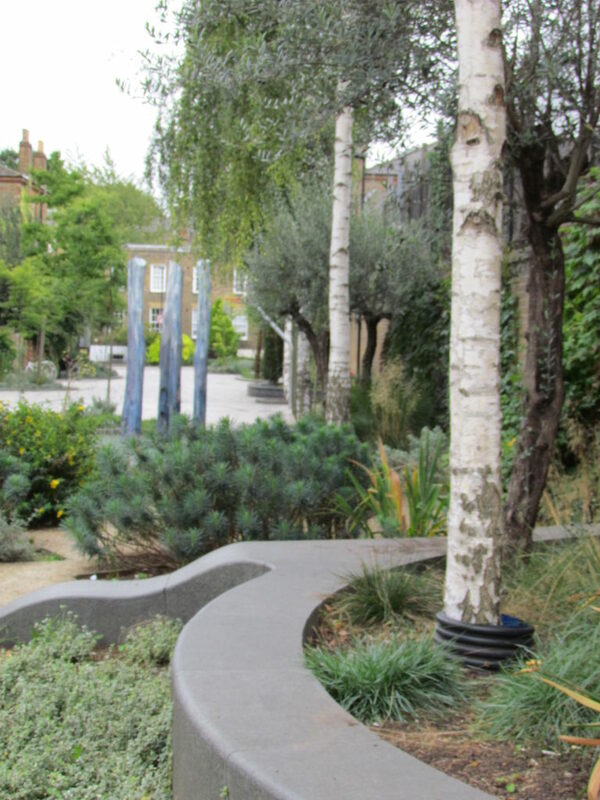 Although space is limited, there is a strong sense of space created by the paving and circular effects around trees. The area is a quiet Oasis of calm for people, including children, in a heavily built up area. The London Borough of Lambeth’s Local Implementation Plan, and Section 106 Planning Gain funding paid for The developments in 2012/13.